This WMUK "Why's That?" story first aired in March. Folk singer Joel Mabus has played the Cooper’s Glen music festival, which used to be held a its namesake, which is part of the Kalamazoo Nature Center. Because, Mabus was told, the Cooper in question is a famous one: James Fenimore Cooper, the nineteenth-century novelist best known for his book Last of the Mohicans. Joel discovered that one of Cooper’s last novels, a book called The Oak Openings, was set partly in Kalamazoo. “It’s been out of print for like 100 years almost literally,” he said. This map shows the vegetation in Kalamazoo before settlement, according to early land surveys. 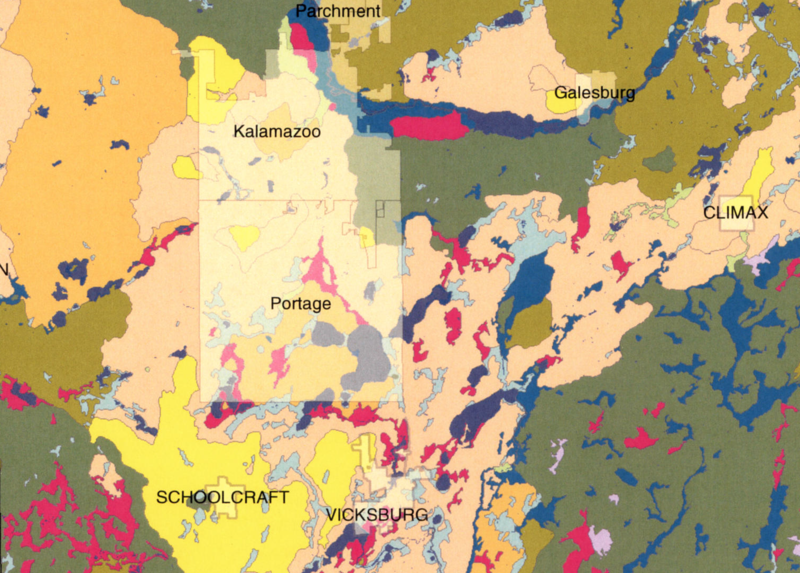 The light putty color that covers much of Kalamazoo and Portage is oak savanna, while the yellow represents grassland or prairie. The Big Island Woods or "Cooper's Island" is the green dot under the name Schoolcraft. We’ll find out how Fenimore Cooper came to write a book set in Kalamazoo. But first we head to the Southwest Michigan Land Conservancy’s Chipman Preserve in Galesburg, to find out what an oak opening is. The Conservancy’s Nate Fuller says these days we’d call it an oak savanna. “In general the savannas were open - areas that, as it was being described, you could easily ride a horse or even take a wagon through,” Fuller said. Grasses and wildflowers covered the ground, with oak trees standing here and there. At this restored savanna, the wind rustles dry oak leaves that never fell off the tree. “You come here around Mother’s Day and it will turn blue in wild lupine. Oak savannas are amazingly beautiful,” Fuller added. These landscapes abounded in 1848, the year that Cooper published The Oak Openings. It’s the story of Kalamazoo-area beekeeper named Benjamin Boden. He travels around Michigan during the War of 1812 and settles in Prairie Ronde. In between scrapes with hostile forces, Boden is out catching honeybees. “He follows the bees to honey and he’s a master at collecting wild honey from old, snaggy old trees,” Keto said. Keto grew up in New York State. So did James Fenimore Cooper, in Cooperstown, founded by his father. Cooper had a niece, Sarah Cooper, who married a man named Horace Comstock. And Comstock owned land in Kalamazoo. “They got a chance to name a lot of stuff these two - Horace Comstock did, because he had a lot of land holdings,” Keto said. Cooper biographer Wayne Franklin writes that Comstock named Comstock Township for himself, and Cooper Township for his wife’s family, the Coopers. According to the Otsego Area Historical Society, Comstock also named Otsego, after his native county in New York. 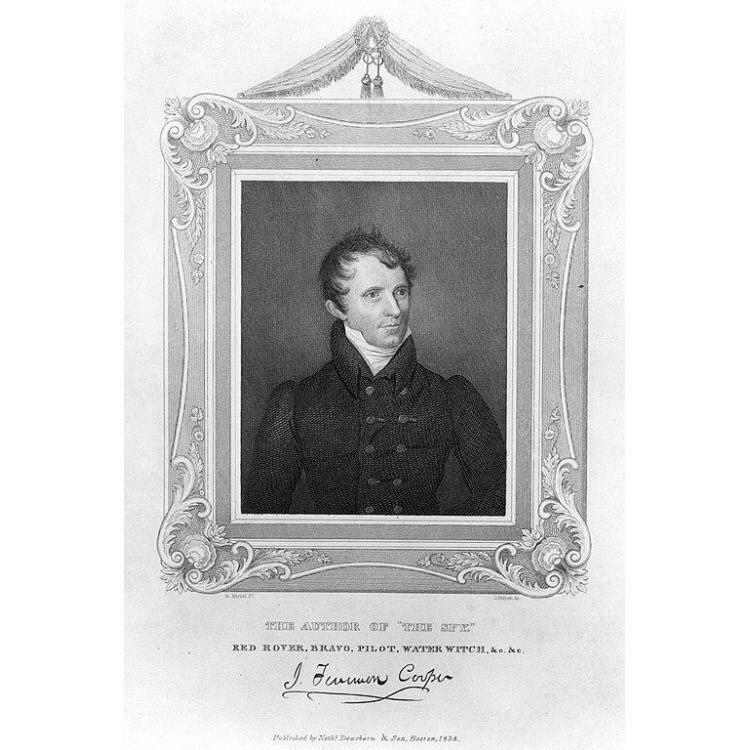 Franklin writes that James Fenimore Cooper invested in Kalamazoo land himself. That was Comstock’s idea, and the deals didn’t go particularly well for Cooper. His niece died in 1846, and Keto wonders if Cooper was helping to settle her estate when he visited Kalamazoo the following year. Soon after that, Cooper published The Oak Openings. He died in Cooperstown three years later, in 1851. The Kalamazoo Nature Center’s records are fuzzy on the exact origins of the name Cooper’s Glen. 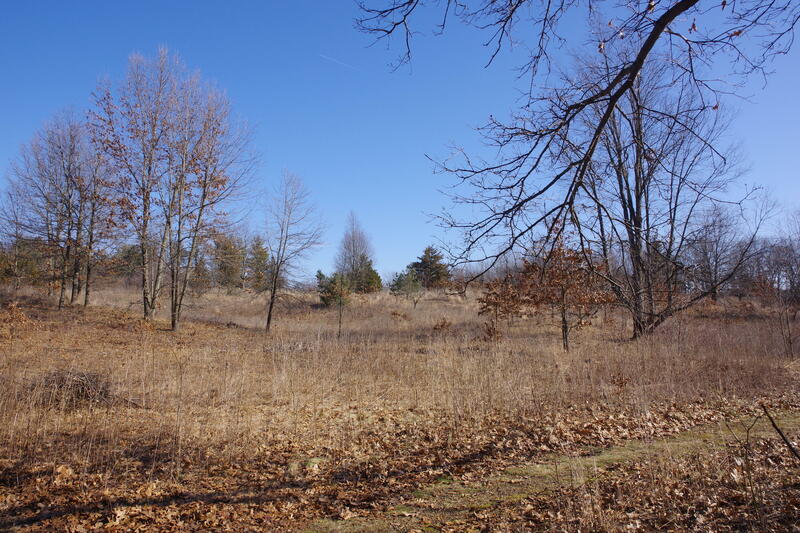 But the Cooper’s Island nature preserve near Schoolcraft is unlikely to be named for anyone else. Also called the Big Island Woods, it’s a remnant of a forest from the time of Cooper’s book. And a 1904 subdivision in Kalamazoo Township is an obvious tribute to Cooper. It’s got a Fenimore Avenue, a Cooper Avenue and an Oak Openings Street. “I’m thinking, you know, Kalamazoo could be ‘James Fenimore Cooper Country!’” he said.